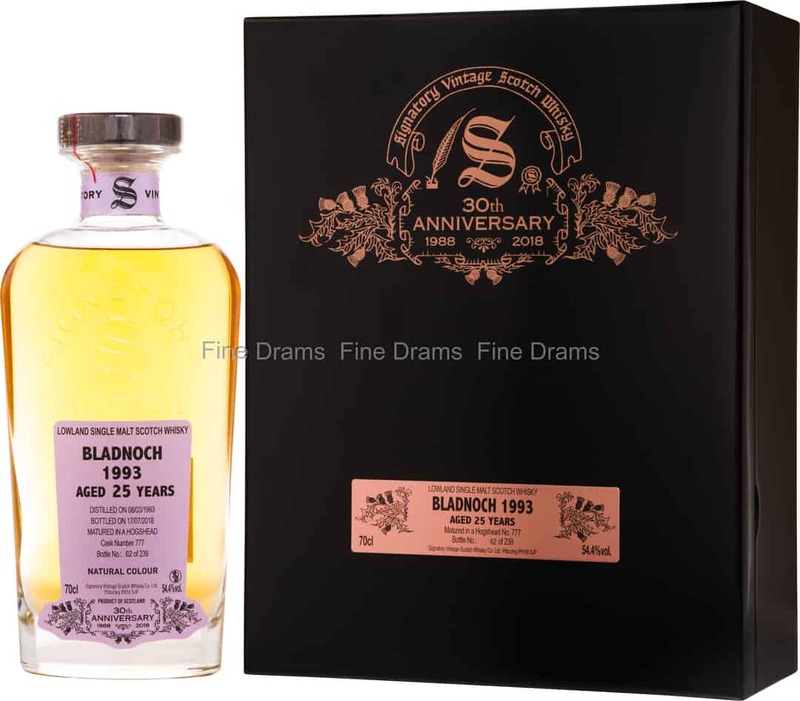 Founded in 1817, Bladnoch is the most southerly distillery in Scotland. It was entirely rebuilt in 1878. More recently, in June 1993 it was dismantled before being bought by a certain Raymond Armstrong, a Northern Irish entrepreneur. It would have to wait until 2000 before it began producing again, albeit on a limited scale. Since 2015, it has been owned by Australian businessman David Prior, and after extensive refurbishment is now back in full scale production. Distilled on 8th March 1993, this version wonderfully embodies the luscious, rustic and intensely fruity character of this extremely rare single malt. This is added to by vanilla and medidnal notes that take it in turns to bring lots of unctuousness and vitality to the palette of flavours and aromas. Profile: the elegant initial nose wavers between green barley, vanilla and ginger. Allowed to breathe, it becomes fruity (pineapple), floral (dandelion) and chocolatey. The lively attack is medicinal (ointment), milky and mentholated. The particularly vanilla finish is also characterized by citrus (orange) and exotic fruits (mango). The whisky was disgorged and bottled under my supervision in the Town of Pitlochry on 17th July 2018.